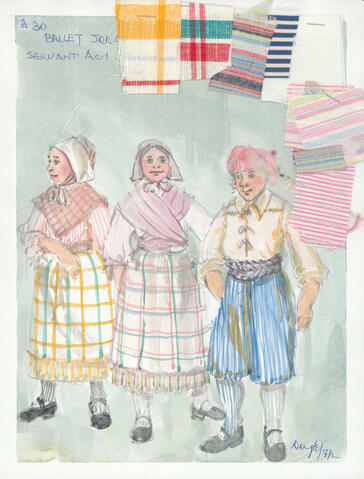 Item is a watercolour sketch of costume designs for Ballet Jorgen's production of Swan Lake. The costumes are for servants who appear in act one. 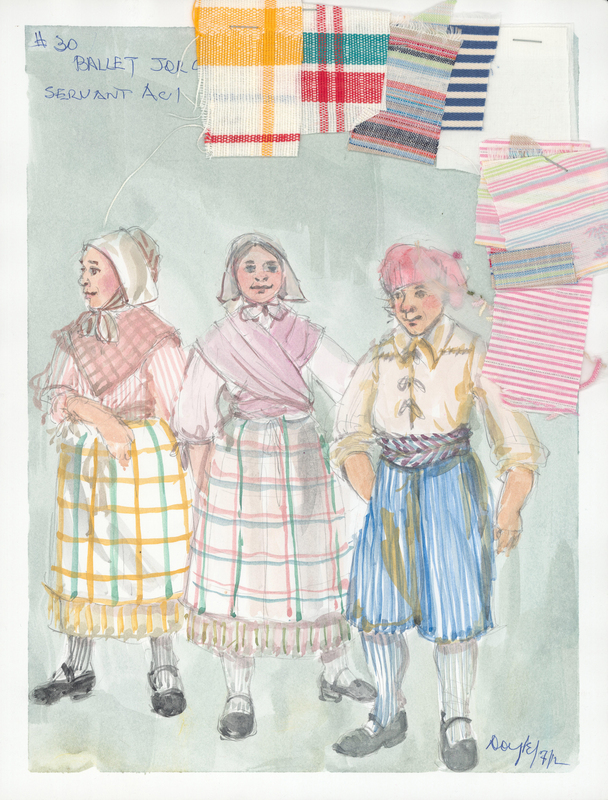 The sketch shows two female figures and one male figure wearing the costumes. There are fabric swatches stapled to the sketch.